Why is good shipping so important? This article will take a look at some ways to improve your shipping process. In one sense, shipping is simple. You need to get your product from point A to point B, and the various carriers will take it to its destination. However, for businesses that ship regularly, paying more attention to the details of shipping can significantly improve efficiency—lower costs, fewer lost packages, and quicker deliveries. This article will take a quick look at some ways to improve your shipping process, and later articles in the learning center will examine each aspect of shipping in-depth. The first thing you need before shipping is the recipient’s address. That sounds obvious, but giving an incomplete or incorrect address can result in delays or added fees. Make sure to include every part of the address — that means suite numbers, buzzer codes, and any other relevant information. It’s worth taking a few extra seconds to check those things prior to sending your package. It’s also important to add the recipient’s phone number so that the carrier can contact them. Providing complete, accurate information minimizes the possibility of having any issues with your shipment. Keep in mind that unless you’re shipping through the local post office—Canada Post in Canada or USPS in the states—your carrier won’t be able to deliver to a PO Box. Making that mistake will, at best, lead to extra fees, or possibly a returned package. UPS, for example, claims on their website that “your package that is addressed to a P.O. Box may be delayed, will not be covered by any UPS Service Guarantee, and will require an address correction charge.” Eliminating these simple issues can go a long way toward improving your shipping efficiency. 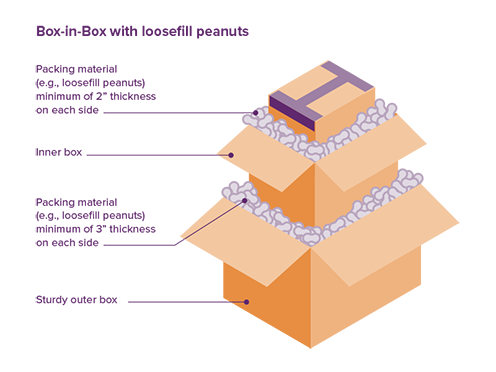 Choosing the optimal box and packaging materials gives your package a higher chance of reaching its destination in one piece. These obviously depend on the fragility, value, and size of the contents, along with other factors, but we recommend some basic packaging guidelines, including using a new box and including a 2 or 3 inch buffer between the contents and the edges of the box. Packing box-in-box is another way to pad your contents from any unexpected impacts. There’s more information on packaging standards in the second article of our learning center. Many businesses choose to insure their items, either through their carrier or a third-party. Every carrier has a distinct policy on insurance coverage, and those details are covered more specifically our article on shipping insurance. You'll generally have to pay for coverage on high-value items, so don't assume that your package is covered by default. Make sure to compare each or the available coverage option - better safe than sorry! 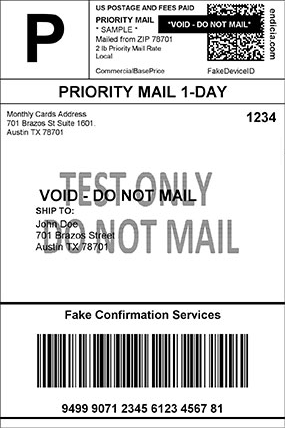 In addition to public postal services, a number of private carriers are available for shipping. In Canada, major carriers include Purolator, UPS, CanadaPost, DHL, and FedEx. They all offer different services and rates, so the best option depends on your specific situation. Pricing and the range of available services vary widely based on the carrier, origin, destination, and other factors. You’d be surprised how much you could save simply by shipping through a different carrier! 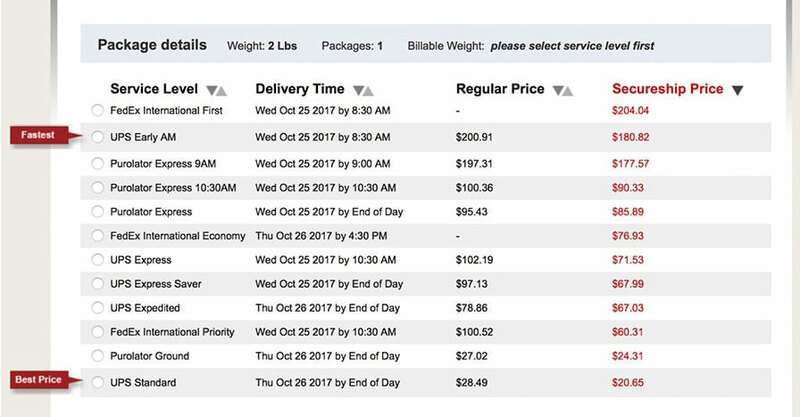 To compare your choices for a given shipment, check out our Shipping Rate Calculator (shown above), which displays a range of services to choose from based on your needs. Another easy way to save money is right here through Secureship, as we give you access to a discounted group buying rate. Once you've decided on a carrier, you need to choose whether to drop on your packages or have them picked up. Pickups generally occur in the afternoon rather than the morning. While FedEx Ground and CanadaPost charge for pickup, the other major carriers provide this for free, saving you the trip to a drop-off location. lf you would rather drop your parcels off yourself, you can find a list of drop-off locations by carrier here. It's important to stay up to date on your shipping even after your packages are en route to their destination. By tracking your shipment, you'll be aware of any issues that come up during the process. If anything does go wrong, you should call your carrier immediately to resolve the problems as quickly as possible. This link contains a list of contact numbers for the various carriers. By following these steps, you should be well on your way to improving your efficiency. A complete address and safe packaging won't always be enough, but they should at least greatly reduce the number of problems you run into. For the rest of the time, monitoring and insuring your shipments will give you the peace of mind you need. By comparing carriers, you'll be able to find the most affordable option for your specific situation. Our learning center is designed to give you all the shipping knowledge you need, and hopefully Shipping 101 gave you an understanding of the basics. Later articles in the sequence focus on specific aspects of shipping to a greater degree of detail. Some of them will cover more basic topics that I mentioned here-like shipping insurance and ways to reduce costs-while others look at more obscure parts that you might not know as much about - international shipping, prohibited items, etc. The next article, Shipping 102: Your Packaging Responsibilities, takes an in-depth look at packaging requirements.